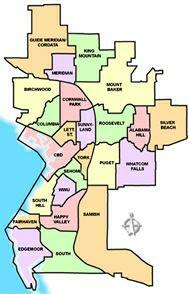 Wondering what's going on in the real estate sector of Bellingham's Geneva area neighborhood? Here's a look at an overview of current properties on the market, pending homes that are on their way to the closing table, and properties that have sold from November to present. This will give you a clear picture of present activity, as well as, what has happened over the course of the winter in the Geneva Area real estate market. Of these properties sold - 1 of them were a short sale, 0 bank owned homes or estate sales. Of these properties there are only no distressed properties pending & no estate sales. Of these homes for sale there is one that is bank owned, 0 Short Sales, & no estate sales. About the Author: Tara is a full time Realtor in the Bellingham, Wa. As a buyers agent she specializes in finding you under-valued properties: good deals, bank owned real estate, short sales, estate sales, etc. As a Seller's agent your home will reach millions of buyers via internet, virtual tours, and target marketing to buyers looking to buy a property like yours. She is well versed in real estate values, finance, and negotiation. Whether you're looking to relocate, buy, sell, or invest you're in good hands with Tara.